Origins Recovery Center is a drug and alcohol rehab facility that offers treatment services to adult men, women, and older adults for alcoholism, substance abuse, and co-occurring conditions. Origins Behavioral HealthCare has over 35 years of experience in providing addiction and recovery services. They believe in treating not the symptoms but the whole person: mind, body, and spirit through medical, psychiatric, and spiritual treatment. Through individualized, patient-driven care Origins Recovery Center is able to help thousands of individuals emotionally, physically, and spiritually. The center offers age and gender-specific treatment programs ensuring that specialized treatment is offered to all kinds of people in need. The center also offers a unique Platinum Treatment Program for professionals such as physicians, entrepreneurs, lawyers, pilots, and other individuals of high net worth which addresses the unique circumstances of such people and offers them the treatment that is suited to their situation. The center offers a residential program as well as family programs to educate the whole family and teach them coping skills. Patients are offered life skills education and vocational training to ease their way back into society. The aftercare and alumni programs offer lifelong support to clients so that they can continue to live their life in recovery. Origins Recovery Center South Padre Center is a residential facility specifically for adult men. The center offers residential treatment to men in a luxury resort setting. It is located right next to the ocean just a few minutes away from White-Sand beaches. The campus provides a luxurious, tranquil, and serene atmosphere to residents where they can start their journey to healing and recovery. The facility can accommodate 40 males at one time. Residents stay in double-occupancy rooms that are furnished and decorated like a beach house. There are bunk beds for residents that are made out of bamboo wood. Each room has an attached bathroom. There is a huge state-of-the-art gym for residents which includes a variety of gym equipment. There is a beautiful swimming pool surrounded by palm trees for the residents. The facility offers breathtaking and gorgeous views and trails for residents which gives them the opportunity to relax, reflect, and contemplate. Residents are provided housekeeping services and five-star amenities to make their stay as comfortable as possible. There is an on-site chef who prepares exquisite cuisines for clients three times a day. Residents eat together in the beautifully decorated dining room. The chef also caters for specific dietary requests or restrictions. 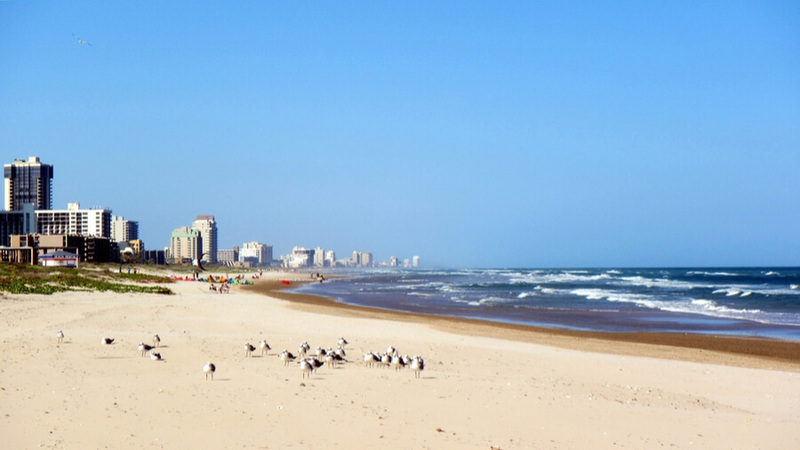 Origins Recovery Center South Padre Island offers premium services to adults suffering from alcoholism, substance abuse, and co-occurring disorders. Each patient has an individualized treatment plan designed for him which caters to his specific needs, strengths, and weaknesses. The approximate cost of treatment for the residential program is $30,000 for 28 days duration. Origins Center strives to work with different insurance companies to make the treatment affordable for all. The center has insurance experts who work with the client’s insurance carriers to help them agree upon the best insurance coverage plan. They are available 24/7 for assistance to clients and families. Origins Recovery Center South Padre Island offers residential treatment to adult men against substance abuse and co-occurring disorders. Their mission is to help men suffering from addiction and dual-diagnosis issues by treating their mind, body, and spirit. The treatment programs are based on the 12-step philosophies and therapeutic approaches. The campus provides a luxurious and tranquil environment where residents can embark on the road to recovery. The gender-specific program helps residents communicate their feelings and bond with each other in an environment where they are assured that they are not alone. All treatment programs are individualized for each patient. The highly trained and dedicated staff provide a complete continuum of care with evidence-based therapies and approaches of treatment to help clients achieve lasting recovery. Additional support is offered to them through the aftercare and alumni program. Connie Motley has a Bachelor’s degree in Psychology and a Master’s of Education in Counseling Psychology from the University of Oklahoma. She has a vast experience in leadership roles where she served as Executive Director of the Oklahoma Substance Abuse Services Alliance. At Origins Recovery Center, her responsibilities include leading and supervising the substance abuse treatment programs. Dr. Alex is a Board Certified Psychiatrist in adult and Child Psychiatry. He has worked with patients suffering from addiction and dual-diagnosis disorders in both inpatient and outpatient settings. He is Clinical Associate Professor in the Department of Psychiatry at the University of Texas. He is also a distinguished Fellow of the American Psychiatric Association. Scott has a Bachelor’s of Science degree in Sociology from Boise State University and a Master’s of Arts degree in Addiction Studies from Hazelden Betty Ford Graduate School of Addiction Studies. He is a Certified Anger Resolution Therapist and a Licensed Chemical Dependency Counselor. He serves as the Program Director at Origins Recovery Center South Padre Island.